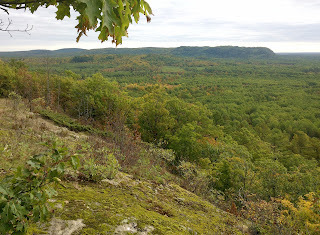 Michigan's western Upper Peninsula - the region west of Marquette - has won my heart. There's something about the ecology of the forests, the soil, the climate, and especially the remoteness, that makes for a primal hiking experience. Some might fear getting lost here. The trail is, in places, barely a trace. But for me it is a place where I feel 'found' - where I am most at home. It's not something that always lends itself to photography. How do you photograph a sense of peace and quiet? How do you document the wonderful *lack* of signs of human disturbance? How do you convey the sense of being in a great natural cathedral? The trail has begun to take me through vast stands of primary forest now, after all the logging and trashy young regenerating areas I complained about in a previous report. Here, even where the land is flat for mile after mile the understory is open, giving you a sense of the grand scale of the woods. This is especially true in the seemingly endless stands of sugar maple with red maple in the wetter areas, and the dark thickets of giant hemlock with boles so massive that you can't stretch your arms halfway around them. The transitions between these basic forest types come mixed with spruce and balsam fir, the occasional white pine, and stands of bigtooth and quaking aspen, paper and yellow birch. Where you find northern white cedar the footing can be rooty and boggy, but the trail builders have tended to avoid these areas where possible. Where the roots of the earth itself rise up, having resisted the long millennia of grinding of the glaciers, the bedrock lifts skyward in great rounded mounds, called Monadnocks in New England. There I have something to photograph and share. And there is where the trail has been taking me whenever possible lately. 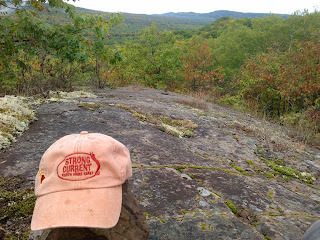 Hat number 85 sits on a sloping ridge of the bare, glacier-smoothed bedrock, overlooking the wild landscape. Rarely can you detect signs of human presence below. 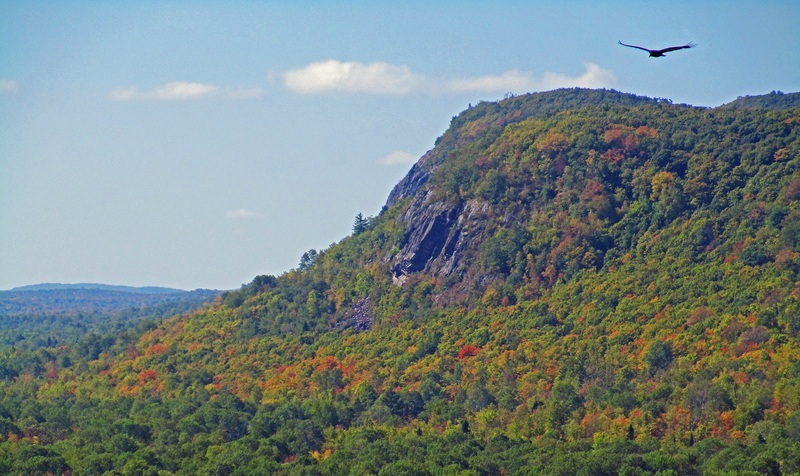 It compares favorably with Maine's hundred mile wilderness along the Appalachian Trail. 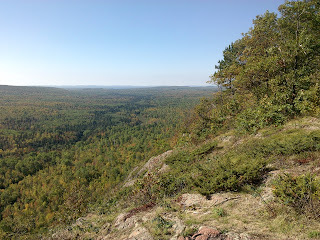 If you look closely, you can spot a bit of Lake Gogebic in this view--near the horizon, just left of center. Most of its 14-mile length is hidden behind higher ground farther to the left, but Lake Gogebic is the largest natural 'inland' lake in the Upper Peninsula. It's going to be tough to leave this area. I'm getting spoiled by constant 'real trail' without interruption. 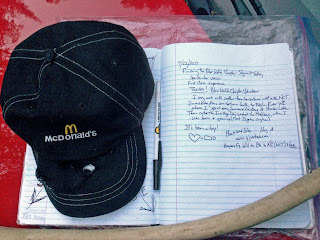 Hat 86 sits beside my lament as I wrote in a trail register book that I would soon be heading south. 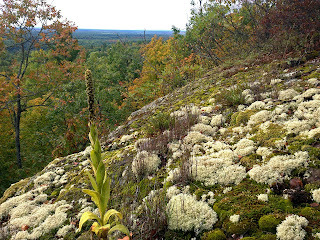 I have a new plan - a route to the Ice Age Trail in Wisconsin that takes me past some hallowed ground. 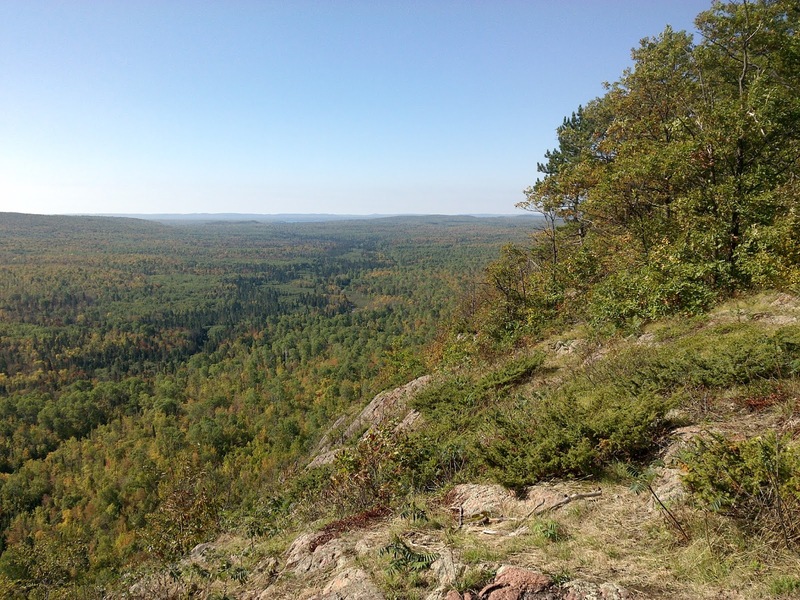 As a kid my family took many summer vacations in the 'North Woods' of Vilas County, Wisconsin. 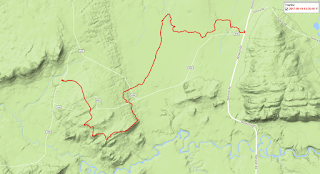 And I've discovered the 'Heart of Vilas' bike trail that spans the county. But I'm well ahead of myself suddenly. I still have the 'Porkies' to hike. 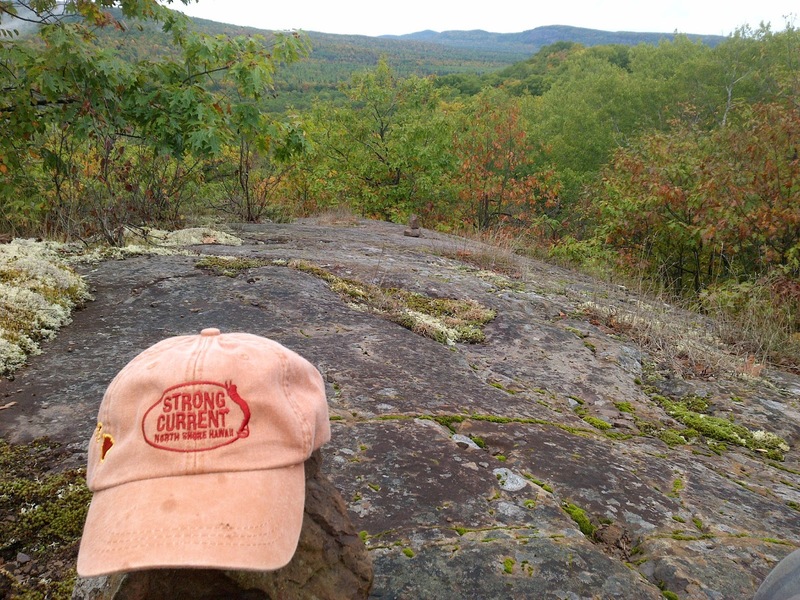 Porcupine Mountains Wilderness State Park promises to be the climax - the apex - of the kind of hiking I've grown to love, but also the final punctuation mark. The "period," or "full stop" as they call it in England. Fall is coming, and after the leaves drop, this hike of mine will come to a full stop for the season. I guess I'm getting wistful. I don't want it to end. 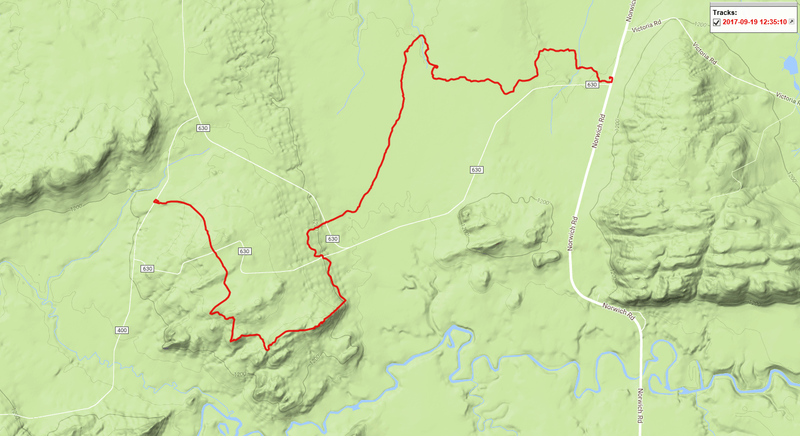 Here are the GPS tracks of the two mountain hikes included in this report, shown with the terrain. It is good hiking. Come see for yourself!